Have you ever passed out? Just before passing out your ears start ringing, your vision shrinks to a tiny tunnel, the blood rushes from your brain and then the lights go out. I was leaving Commonwealth Orthopedic this past Tuesday and had just received a second opinion from Dr. Kevin Denis that, unless I was interested in severe foot issues for the rest of my life, I should give up running. I had heard the same opinion from Dr. Richard Oller a week before. I held it together at the checkout counter but the realization of the words “No more running” washed over my like a flood as I left the office. I had to sit in the waiting room for a few minutes and must have looked awful because another patient asked if I was okay. I only heard her voice distantly and mumbled that I would be okay and gratefully accepted the cup of water she offered. On April 17th, after months of post-surgery recovery I was on the cusp of signing up for a few summer races. I was checking out “Escape the Cape” and the Philadelphia Triathlon. I was also considering a few local 5Ks to get fast again with an eye toward some longer distances in the fall. Then on an easy lunch time run, I suffered what I believed to be an annoying but minor setback. There was a little tick in my foot followed by some aggravating pain that clearly said “Stop running for a bit”. I sought the advice of running friend and triathlete Dr. Oller who had me brace it up and rest for a couple weeks. There was only minor improvement. I grew concerned and texted Richard. He grew concerned and ordered an MRI. Upon viewing the results he texted me immediately to call him. The news was not great. There was tendonitis and a slight tear in the post-tibial tendon. The Post Tibial Tendon: AKA Pete’s bane. I needed to be in a boot and give the tendon complete rest. But longer term, I need to think about other activities. Putting it bluntly, no more running. I had hoped to find some flicker of hope from the second opinion with Dr. Denis but instead the tiny flame was snuffed out. The candle of running hope being extinguished. Once the double vision went away and I felt capable of driving, I headed to work thinking about what running had become for me. Once it had been an onerous task that helped me ditch a burgeoning belly. Now it was the heart and soul of my life. Running was the center of my mental and physical well being, the source of my social circle, and the roots of my calendar all year long. As I’ve shared the news with my running friends, like both doctors it was often suggested to do a lot more cycling instead. Or find other activities. “You’ll find something you are passionate about to stay fit”. Perhaps I will. Perhaps I won’t. Right now I feel a bit lost. 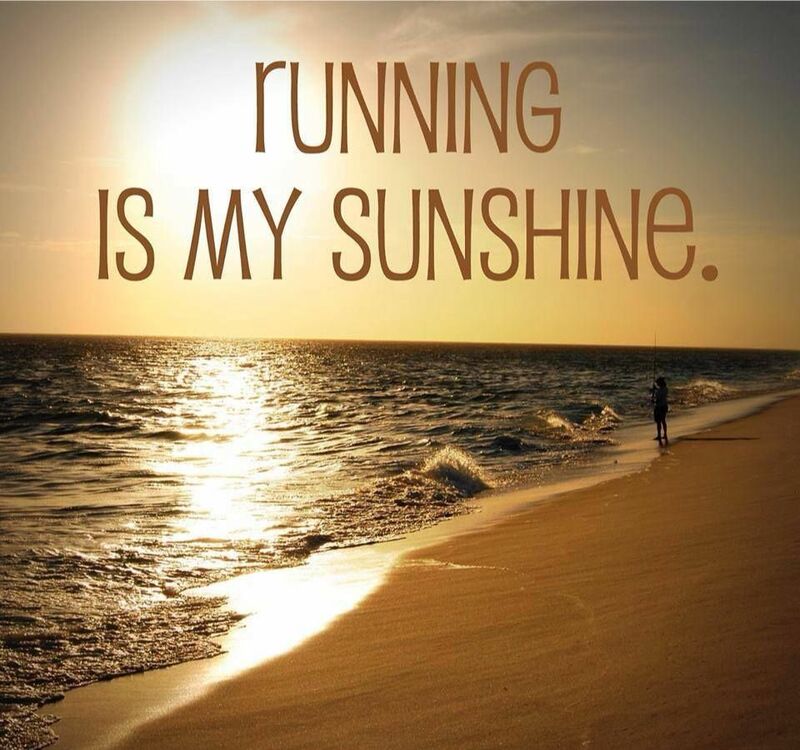 Running has been the very foundation of my health and fitness regimen. I am “blessed” with not a great metabolism. My body can turn a few extra grams of fat or sugar into pounds overnight. Running has kept this at bay. Many runners run so they can eat everything. At my best running form I still have to keep a close watch on what I shove in my pie hole lest springs and parts start flying out of the bathroom scale. To be clear, I am not weight obsessed or borderline anorexic. In fact, where some of my running friends struggle to keep weight on, even during peak marathon or Ironman training I can barely stay just below a weight that would be considered obese. Okay, not obese by the Wal-Mart standards but medically speaking. There are other great exercises out there including the obvious triathlon choices of cycling and swimming but running truly keeps me fit and trim. There are evenings and weekends right? Isn’t that when I should ride? Well, theoretically yes. I live 40 minutes to an hour from work so typically don’t get home all that early and certainly not in time or frame of mind to go out for a bike ride. On top of that, my wife does not share my love of fitness activities and gets greatly annoyed when, after a 50 hour week of work, I come home and then disappear on my bike for a few hours. There is a reason I gave up long-course triathlon. Nothing says “I love you” like going off on your own to pedal all over Pennsylvania for the weekend. Running made it easy to stay fit without ruffling feathers on the home front. What about the trainer? Yes . . I have a trainer. In fact 75% of my training for triathlon occurs on the trainer. I can do this early in the morning as well. Going forward I can’t see me grinding away for hours on the trainer if I’m not training for something. It will also be difficult to consider holding on to a really expensive triathlon bike and trainer to use as a glorified spin bike. Did I mention I’m a fair weather rider? I’ll run outside in any conditions but once the temperature drops below 60 degrees my bike doesn’t leave the garage. Anything colder is a snotty, reynaud’s syndrome mess. I have cycling friends that ride through anything. Blech. Not me. For me cycling is strictly a summertime “thing” and even then only when it is sunny. Nothing worse than getting caught out in the cold and rain on my bike. When I first started running, my motivation was the numbers on the scale. I was ridiculously obese and driven to get to a healthy weight. Once there, interest began to wane until I discovered racing. I remember being extremely nervous about my first 5K but had a blast! Then came 10 milers, half-marathons, marathons, and then Boston! I fell in love with the Boston marathon. Never have so many like minded people gathered in one place to torture themselves. Getting back to Boston, was my motivation to go through the CMI repair and hip labrum surgery last fall. Getting back to Boston got me through 6 months of physical therapy exercises. The idea of racing again, had me working to be fit at every opportunity. Getting back to Boston helped me start tracking calories and dropping lazy, post-surgery pounds as my return to running neared. The question is, will I be able to find some other motivation to drive me to the gym each morning to do whatever one does at the gym when not preparing for something? I don’t know. I’ve renewed my gym membership for another year but haven’t really come up with any sort of plan, especially since I’m not supposed to do anything weight bearing without wearing my Storm Trooper boot. My friend for the next month. What about weight lifting or body building? Weight lifting!? You mean me!? Oh that’s a good one. I do barely enough strength training to be healthy and a better runner/biker/swimmer but I find it as appealing as volunteering to be a root canal practice patient at a school for blind dental students. I could never be a regular gym rat. Part of the appeal of running is that it usually doesn’t occur in a gym. And those weights are heavy! high-volume running leads to a lot of injury (post-tibial tendon problems, for example). Adding biking and swimming helped me build cardiovascular strength to be a faster runner. Indeed I was a much faster runner as a triathlete than just as a runner. But I’m really not all that enamored with the swim and the bike and kind of slow at both. Plus the bike, in particular, requires a lot of time. Upon my return from surgery I thought I’d dabble with triathlon for another year before simplifying life and just focusing on running again. Yes, ironically, I was already planning my exodus from swimming and biking. Running is simple right? All you need is a pair of shoes, some shorts, and a shirt or just the shorts on a hot day. Oh and a watch. And heart rate monitor. Foot pod, tights and long sleeves for the cold, fancy sunglasses, maybe a hat, and a road ID is a good idea. Okay, it’s not that simple but nonetheless all that stuff fits in a bag. I can run anywhere with a small amount of equipment. When we travel or go camping I can still run with a minimal amount of extra packing. Cycling, by contrast, takes monumental amounts of equipment not the least of which is a bike. The bike is cumbersome to take along when driving and nearly impossible if flying. The same could be said for rowing, paddle boarding, cross-country skiing and most other sports. While swimming is fairly simple, it does require access to a lot of water. It has been a nostalgic and a bit of a depressing week as I begin to withdraw from the running and triathlon communities. Perhaps I’ll rejoin these communities one day as a cheerleader or volunteer but right now the constant reminders of running and racing are painful and depressing. I do hope maybe I’ll find some other fitness-related activity I’ll become passionate about. For now, I will continue to ride my bike when the weather is nice, and I’ll continue getting a few miles in the pool each week and I’ll probably even try to figure out what one does with those heavy weight thingies all around they gym, but running just worked for me and I don’t readily see a substitute. It may be time to focus on some of the passions in my life that running has displaced such as fishing. I like fishing. I used to go fishing a lot. Man, this was hard to read. I totally get all of this. Running keeps me sane and helps with the scale. I’ve heard so many people tell me you can’t run forever and that cycling is a lifetime sport. But I know that feeling…..it just doesn’t cut it once you run. I hope it all gets sorted out. I know it’s your true love. Thanks Sarah. I have to admit it was kind of devastating and frustrating. Especially after deciding on the surgery last fall. Granted, the surgery helped with other activities and issues but I could have lived without it. It was a gamble and I lost. I had hoped for a few more good years of running. I have no words of consolation, but will gladly enjoy your continued participation on the hunting team and will even join you on some of those fishing endeavors. One word of advise on those weight thingies…..Don’t drop them on your feet!! You think you have foot problems now…..I have managed to avoid that issue, but have witnessed it far too many times. They get slippy when your hands get wet. Anything I can do to help your mental state….You know I will!